With the changing technologies, the concept of playing games also has been changed to some extent. Now, most of us enjoy spending hours by playing games of PlayStation. And what can else than enjoying these wonderful games on your iOS devices? With the release of excellent PlayStation app in the market, it has entirely changed the concept of playing games very much. Where it provides you a very user-friendly interface on the other side, it also enables you to redeem codes and keep you informed about the latest activities of your friends in the PlayStation community. If you are having the query of how to download and play PlayStation games on your iOS device; just get relaxed and follow the procedure provided below in order to get it without jailbreak your device. Don’t waste your time and just dive in and see what all you needed to do for installing this fantastic app on your device along with the features. One of best emulator in the market is listed in our site, do check it once: GBA4iOS Emulator for iOS. Why do users like to play PlayStation Games? Playing games on PlayStation is one of the first choices of most of the game lovers. And when it comes to the playing games of PlayStation on iOS devices it adds more to the features. PlayStation app enables you to enjoy the fun of playing games on a wonderfully intuitive interface along with providing you best key features so that to make it easier to switch between them. It also enables you to redeem codes and to manage downloads remotely. You can now easily view and compare your various trophies related to PlayStation network. 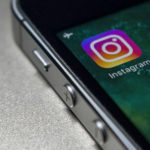 You can now remain in touch with your friends with the help of this app and can easily view that who is online and what game are they recently playing on. It also enables you to send text as well as voice messages to your friends or friend groups at any time. It also provides you the facility of getting extra content such as maps radars and much more in the compatible games. 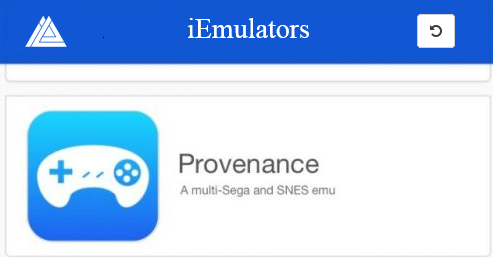 iOS emulator [We have used provenance emulator]. iOS 11 and above handset. Do check out this list: Best Live TV Apps on iOS(2018 Updated List Unlimited Shows). 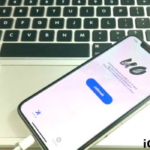 If you are looking forward to getting this app access without jailbreaking your device; the first thing you need to get installed on your device is an emulator. Launch the Safari web browser on your iDevice and paste http://iemulators.com/provenance this URL in the address bar and wait for a second to load this page. 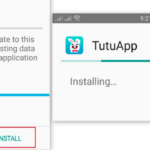 Select the latest version of the app to install it on your device. Click on “Trust” to verify the developer associated with Provenance. Now the emulator is ready to launch. Once done with the process; now head towards the App Store and search fo the option of Documents app in the search bar. Once done with the process; the next thing you need to have is BIOS. Many sources like psxdev.net, provide BIOS. You can download this file from that sources. While the BIOS is being downloaded on your iPhone, tap on every file and hit on “More” option. Next, you need to open them in Documents app. Now it is time to rename the BIOS files. You can find three dot option beside every BIOS file. Click on that option and hit on “Rename.” Make sure you do not use capital letters for renaming the BIOS files. Now, go to the home screen of your iDevice and launch the Provenance app. Shut down the emulator immediately after starting. Now, open the Documents app and keep the Provenance app running in the background. Now, hit on the three dots option next to BIOS files and click on the Share option. You can use different sharing options on the next window along with Provenance. Select Provenance from the list. Next tap on the Settings on Provenance, then select Refresh Game Library. Now the emulator is ready to run of PlayStation games. 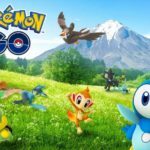 You need to have some ROM files of the games and import them in the emulator. Though ROM files come in a compressed way, so you need to download them on your computer. Go to the Settings option of the Provenance on your device and knock the Import/Export ROMs and Saves. Then you get a web server address with “HTTP.” It will make a connection between the Provenance app and your computer. Enter the address in the web browser and click on the “Create Folder“ to create a new folder. Open that new folder and hit the “upload files“ to import ROM files. After importing all files, go the Provenance app on your iDevice and stop the web server. Again hit on Settings and tap refresh Game Library. Close the settings and visit the home screen of Provenance to get all games which you have imported. Best Guide: Get Best iCloud Bypass Tools – iCloud Activation Lock Removal Tools. The world of the PlayStation has now become a just a touch away with the involvement of the app of PlayStation on iOS devices. Just keep in touch with your friends with this wonderful app and enjoy the fun of making an enhanced difference of your won trophies with them. You will surely love to enjoy PlayStation games on your iOS device once have been successfully installed.